Advertising organizations, the government, and large brands like McDonalds, Mars, and Kellogg have joined forces in the UK to deliver educational materials designed to teach 6-11yr olds how to critically think about online advertising. 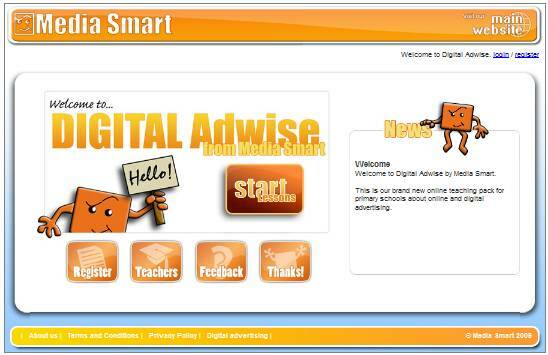 The initiative, called Digital Adwise, is being developed through MediaSmart, a non-profit media literacy program that provides educational materials to primary schools. It’s great to see digital literacy collaboration between industry, government and educators – hat’s off to this group. It will be interesting to see how it matures and whether elements will be relevant for US students at some point. This entry was posted on Tuesday, November 24th, 2009 at 11:50 pm and is filed under In The News. You can follow any responses to this entry through the RSS 2.0 feed. Both comments and pings are currently closed.